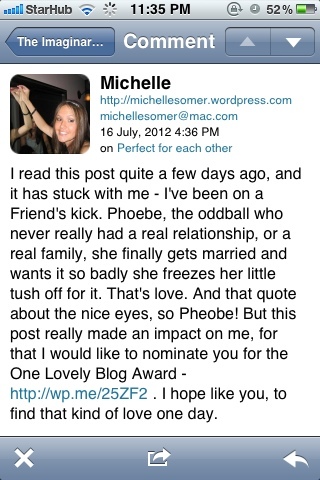 Thank you very much, Michelle. 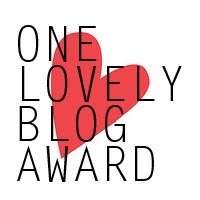 It felt almost as if I had won the Nobel Prize for blogging. It’s an honour to know that there are people out in the world wide web who read my stuff and are willing to take a little time from their busy lives to show their appreciation by leaving comments or liking my posts. You guys make my day every day! So after radiating a cheery glow the whole of yesterday and today from my swanky new award (I’m a winner, baby! ), I dug around a bit for its origin and the rules. 2. List seven things about me that you still may not know. 4. Notify the aforementioned bloggers you have done so. 5. Put the logo on your blog. 1. I made a goal to earn $20,000 a month in five years’ time. 2. I secretly fart in my seat at work or while walking in public spaces and hope that no one heard me. 3. I think about her all the time; wondering if she’s sleeping well, eating well and taking care of herself well. 4. Whenever I meet new people, I mentally evaluate them to see if they’d make good employees for me one day. 5. I badly want a slim oval face, instead of my broad square one (I like to think it’s chiselled but I got mocked at once) so I can look great in any hairstyle. 6. I want to travel to faraway places like Barcelona, Prague, Scotland, Borocay, New York, Tokyo and Brazil and many other cities with the love of my life. Well, if not, someone please give me the courage to do so alone (I’m really afraid of sleeping alone in the dark or in strange hotel rooms). Hehehe. 7. There’s a stack of new clothes and bottoms, and four pairs of new shoes that I haven’t worn because I can’t bear to. I don’t know why! As for the list of 15 bloggers, I’d like to nominate all of you out there who aren’t afraid to share your deepest darkest thoughts, your buried feelings, your vast knowledge or even just your everyday experiences or the random funny things you see — with us on the Internet. You’re an inspiration. And it’s a pleasure just to be here. I am glad I could make your day 🙂 Congrats on the award, you deserve it!